Sweet French toast is a delightful option for breakfast when you are looking for wholesome but no-fuss recipe! 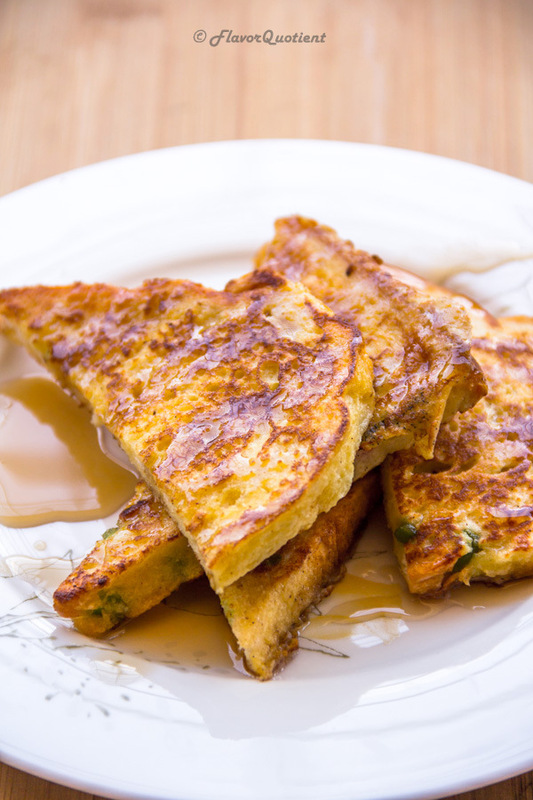 I have always had the savory version of the French toast and I learned to make it from my mom. When I saw this recipe of sweet French toast in one of the recipe books of my collection, I found it quite interesting. This somehow seemed to me an innovation on the basic pancake where we are using bread instead of flour. And I must admit that this innovation is simply mind-blowing! I loved it and am saying it from the bottom of my heart. 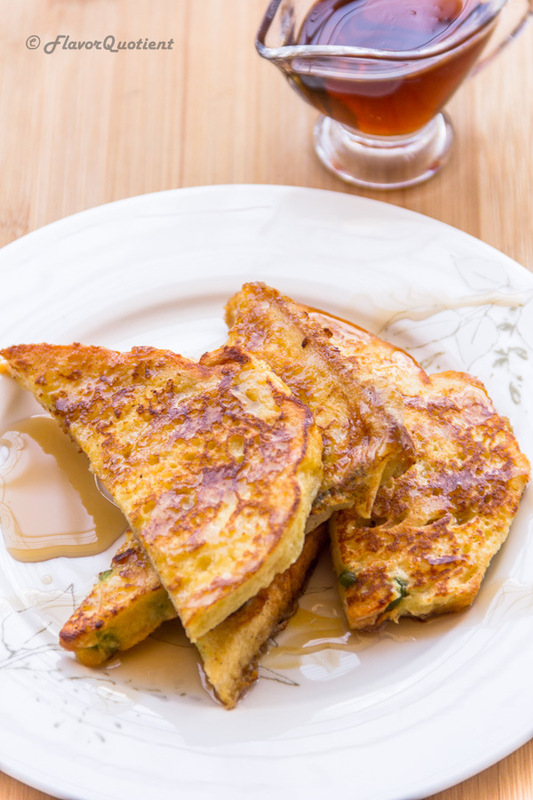 The maple syrup drizzled over the toasts are just the perfect master strokes! As I had already mentioned in one of my earlier posts that I always find it challenging when it comes to making a good breakfast – good for me is defined as (nutritious, filling, no-fat, easy-to-make)! If any one recipe delivers right on each of these parameters, then it will take a permanent place in my food list. I mean my mental food-list; I don’t actually maintain a hard copy of list. Do you? The extra punch of these French toasts come from the addition of cinnamon powder. This one spice has so much power that it takes the dish to a whole new level. 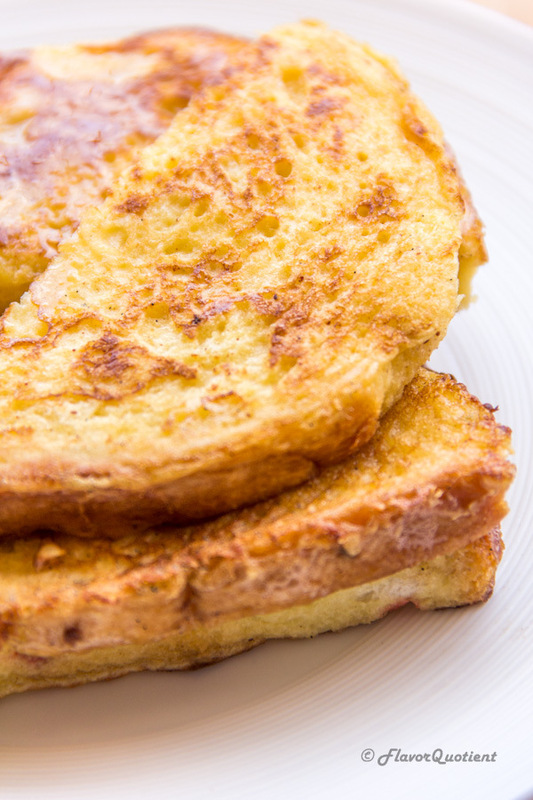 This sweet French toast is a quick and easy breakfast which you will fall in love with. And for the busy moms with fussy kids, these will be great for your kids too! Mix together the eggs, vanilla extract, cream, cinnamon powder and sugar (if using). Whip it to make a homogeneous mixture. Heat a non-stick frying pan. Add little butter at a time and swirl around the pan. Dip one bread slice at a time into the egg mixture and leave for 2 to 3 seconds. Take out the bread and place them on the hot frying pan. Cook the bread for 2 to 3 minutes on each side over low heat until each side is golden. 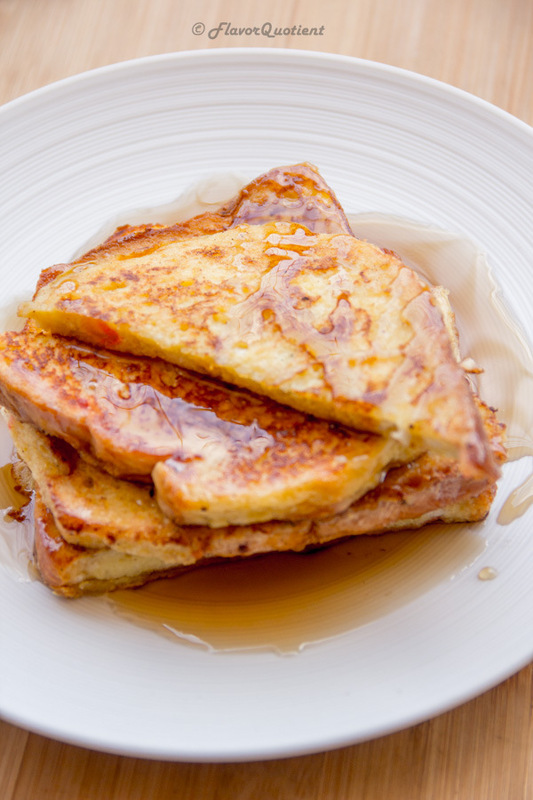 Drizzle maple syrup over the French toast and serve hot.